Chloe, 19, is a resident at YMCA Hayes in West London. Thanks to supportive YMCA staff and the Get on Track employment and mentoring programme, she has got a roof over her head, about to start volunteering and feeling more positive in herself. “I like living here; it’s given me independence. I can start doing stuff myself rather than relying on other people to do it for me,” says Chloe. Being a shy person means that Chloe doesn’t have a lot of confidence but taking part in Get on Track helped her to tackle this. “As the Get on Track programme went on I grew more confident. I only knew two people on the course to start with, and getting to know new people was one of the best bits”. 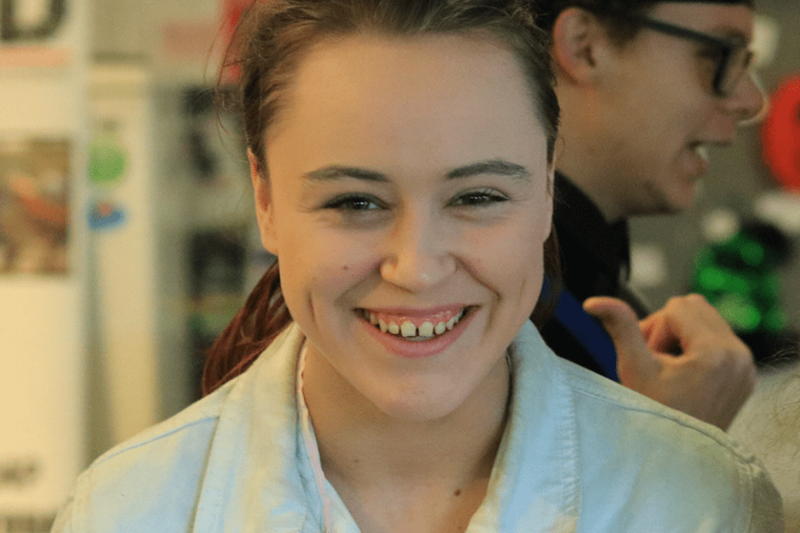 Staying in short-term supported accommodation at YMCA Hayes means Chloe needs to think about her plans going forward. “I’m hoping to do my volunteering, get a job and get a flat in the next couple of years. I’d like to work in retail as I have got some experience in this”. Chloe’s dream job would be a professional dancer. “When I was 11 I did Street Dance and performed at the Beck Theatre in Hayes. I would love to take it up again. When I was dancing before it really helped to take my mind off things”.